While we regularly take our cat or dog to the veterinarian’s office for regular health checks, dental care often falls by the wayside. At least once a year, it is recommended that your pet undergoes a full dental examination and cleaning. Having healthy teeth and gums will lead to a lifetime of health and happiness for your pet. 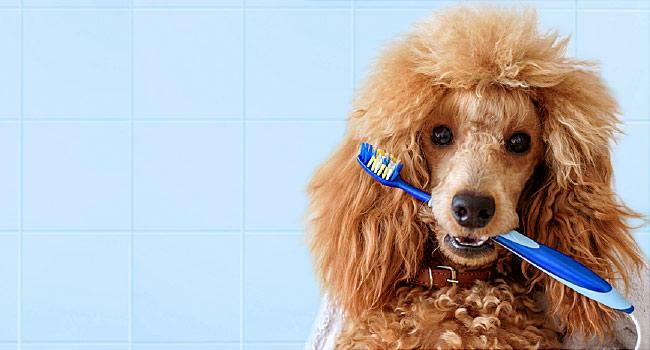 The team at Riverside Veterinary Clinic is happy to help, and explain the importance of regular pet dental care. Why Is Pet Dental Care Important? Every aspect of your pet’s health is important, including dental care. Pets use their mouths for communicating, eating, and holding on to items. The health of your pet's mouth, teeth, and gums is vital to a happy and healthy life. Unfortunately, your pet's teeth and gums are a prime location for dangerous bacteria to enter the body. If your pet's gums are inflamed or bleeding, bacteria can enter the bloodstream. Bacteria can then manifest into dangerous heart or kidney diseases. Further, diseased teeth can quickly spread to other teeth causing a much larger problem. What Are Some Common Dental Conditions? Probably the most common dental condition is gingivitis. This gum disease causes inflammation and bleeding. Gingivitis, if left untreated, can quickly spread out of control, leading to tooth decay and tooth loss. Diseased and broken teeth are also quite common, particularly in older cats and dogs. As dogs age, their teeth begin to show wear and tear from a lifetime of use and can become brittle. Abscesses and ulcers are also common in cats and dogs and should be prevented with regular dental care. What Can a Veterinarian Help With? During a regular dental exam a veterinarian will have full access to closely examine your cat or dog's teeth and gums. Your pet must be sedated through the examination for the health and safety of both the pet and veterinarian. Your veterinarian will be able to clean plaque and tartar off of your pet's teeth and evaluate the health of their gums. Any broken or diseased teeth will be extracted to prevent the disease from spreading throughout the mouth. Following the dental appointment, your veterinarian will be able to recommend at home care for your pets. There are many chewing aids and food additives that can help keep your pet's teeth and gums healthy between dental visits. At Riverside Veterinary Clinic we care about your pet's overall health, including his or her teeth. Our team of caring and professional veterinary experts will care for your pet as if he or she were one of our own. We are conveniently located at 6462 GA. Highway 91 South, Donalsonville, GA 39845. To learn more about how we can help improve your pet's dental health or to schedule an appointment, call us today at (229) 524-6198.